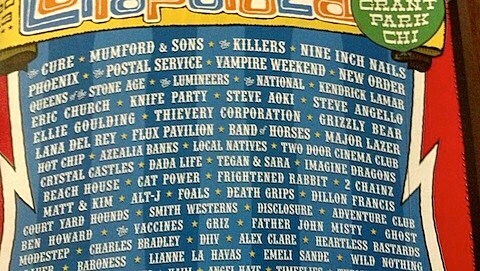 EDM Chicago are pointing to what looks like an official lineup poster for Lollapalooza 2013. 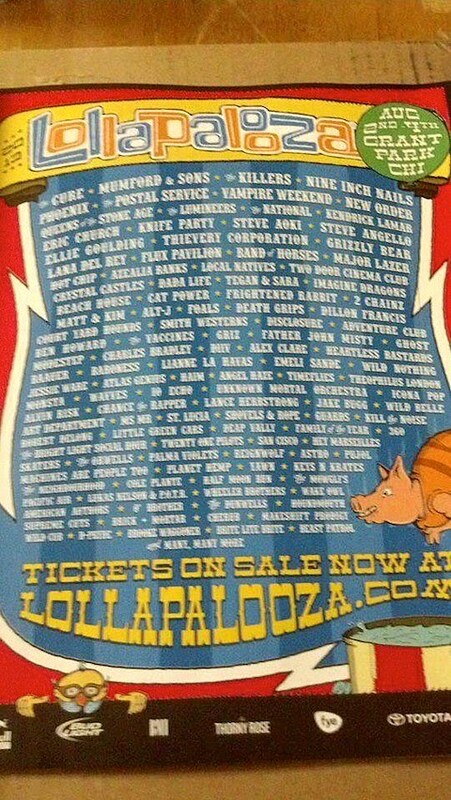 Though it’s a tad bit blurry (there’s a clearer image at the bottom of this post), it features The Cure, Mumford & Sons, The Killers, Nine Inch Nails, Phoenix, The Postal Service, Vampire Weekend, New Order, Queens of the Stone Age, The Lumineers, The National, Kendrick Lamar, Grizzly Bear, Lana Del Rey, Azealia Banks, Local Natives, Beach House, Cat Power, Alt-J, Foals, Death Grips, Disclosure, Father John Misty, Baroness, Jessie Ware, and MANY more. 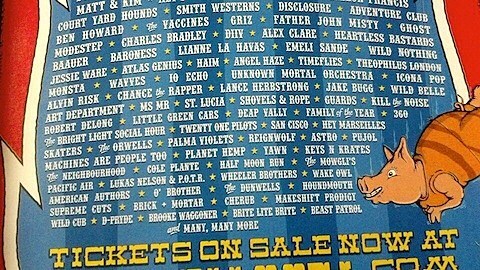 Aside from the poster looking extremely real, most of these artists have already been confirmed or were at least strong possibilities. The official lineup will arrive on April 9, which is also when single-day passes – all that’s left at this point – will go on sale (at 10AM CST).